Head over to CrackTheSkye.com and get ready to have your mind blown! The new MASTODON microsite has just launched and features animation inspired by the band's upcoming album, "Crack the Skye". The new site is a Flash-based, interactive experience threading fans through an extremely visual, user-controlled cyber journey into the inner sanctum of "Crack The Skye". Content will be thematically based on the album's concepts, artwork, images, lyrics, videos, and its unique packaging through engaging visuals and music from "Crack The Skye" intended to accompany and enhance the experience of listening to the album in its entirety. The site also features the world premiere of the sweeping instrumental "Oblivion". MASTODON recently shot a video for the song "Divinations" with director Roboshobo (a.k.a. Robert Schober; METALLICA's "All Nightmare Long"). 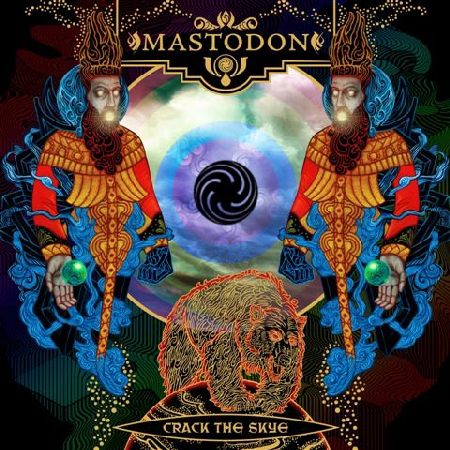 The track comes off "Crack The Skye", which is scheduled for release on March 24. As was the case with MASTODON's previous releases, the artwork for the new CD was created by Paul Romano (TRIVIUM, GODFLESH). MASTODON will tour Europe with METALLICA this summer. In addition, they have been invited to perform as part of the Sonisphere touring rock festival this summer in Europe with METALLICA, LINKIN PARK, SLIPKNOT, LAMB OF GOD and more.